The Fairfax & Favor Windsor Handbag is a timeless classic with understated elegance. Hand made using exceptional quality Italian leathers, the Windsor is finished with a signature interchangeable tassel enabling you to personalise it for any look or occasion and coordinate with your Fairfax & Favor Boots. 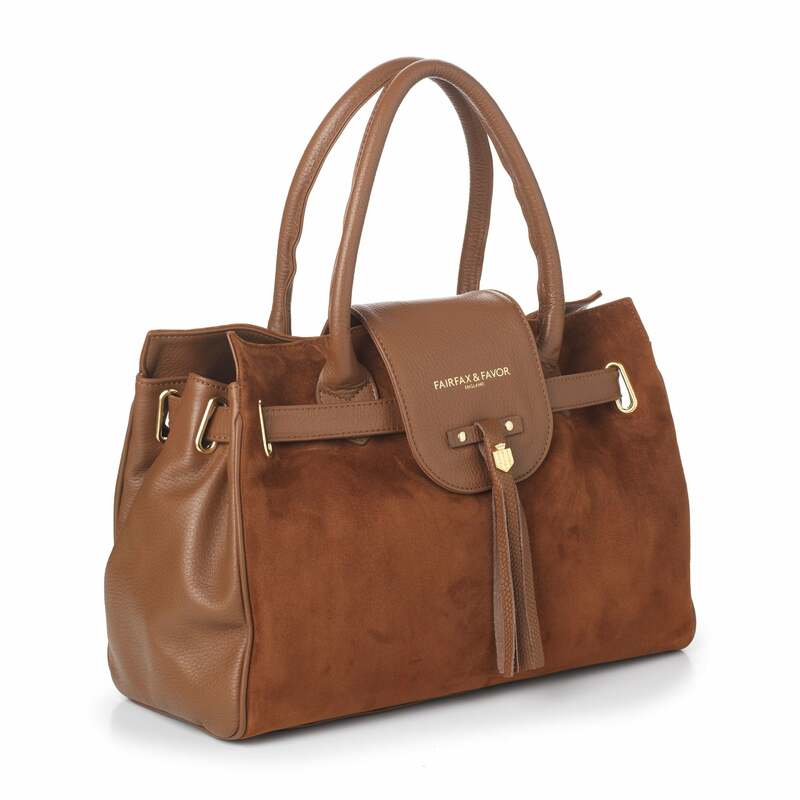 Featuring a large interior with zipped pockets, grab handles and a detachable shoulder strap. Care tips - Suede and leather products should be sprayed at least once a month with Suede and Nubuck Proofer. If the suede does become subject to large amounts of mud or water leave to dry naturally before brushing, then re-apply Suede and Nubuck Proofer. For the best stain protection, we recommend the Ultimate Care Collection. It contains Liquiproof revolutionary nanotechnology that creates an invisible protective barrier and fully protects your leather and suede from all liquids, ranging from water, red wine, oil etc with unparalleled results.